WATCH THE VIDEO FOR MORE TIPS! The seductive red color, irresistibly moist cake and thick, rich crown of Cream Cheese Frosting make Red Velvet Cupcakes the celebutante of cupcakes! This recipe makes either 24 cupcakes or two eight inch layer cakes. 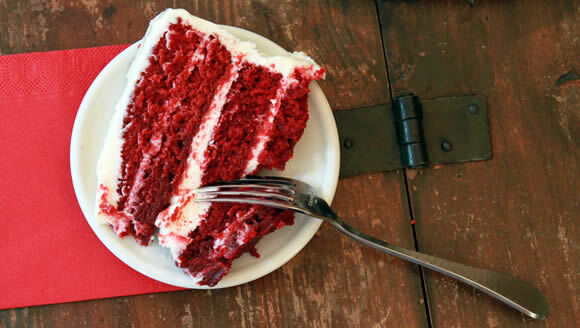 NOTES: Red food coloring will stain your hands, clothes and mouth, so use caution when handling. This recipe makes either 24 cupcakes or two eight inch layer cakes. 1. Place a Tablespoon of white vinegar or lemon juice in a liquid measuring﻿ cup. 3. Let stand for five﻿ minutes﻿ and use in the﻿ recipe. 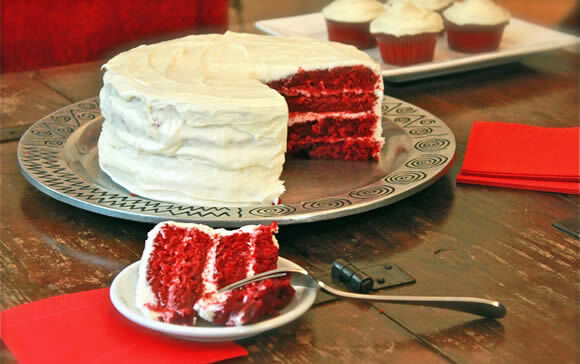 For added instruction and entertainment, watch the How to Make Red Velvet Cupcakes video. Prepare the dry ingredients. 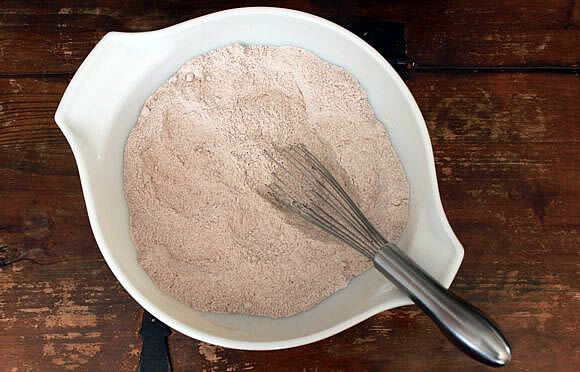 In a bowl combine flour, brown sugar, white sugar, salt, baking soda, baking powder and cocoa powder. Use a whisk to remove any lumps and combine thoroughly. Make the batter. In an electric mixer, beat eggs and slowly stream in oil until emulsified. 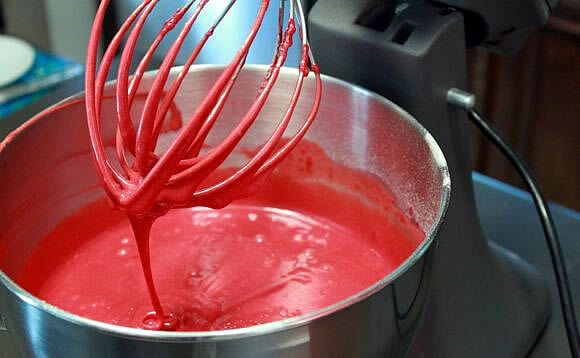 Add vanilla, white vinegar and red food coloring. Combine well and slowly add the dry ingredients. 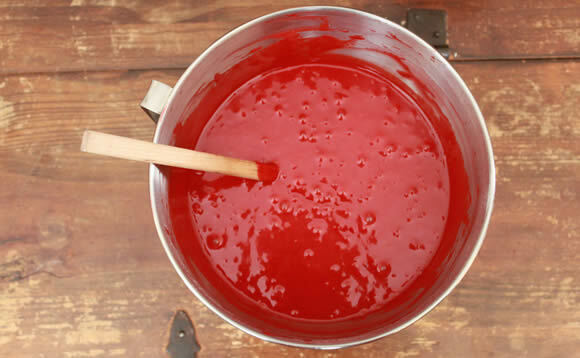 The batter will thicken; keep mixing on low. With the mixer running, stream buttermilk into batter slowly. Scrape down sides of bowl and mix until thoroughly combined. Bake. Distribute batter to prepared cake or cupcake pans and bake in a preheated 350(F) oven: 20-25 minutes for cupcakes; 35-40 minutes for cakes. Allow cake to cool completely before frosting. Prepare the Cream Cheese Frosting. 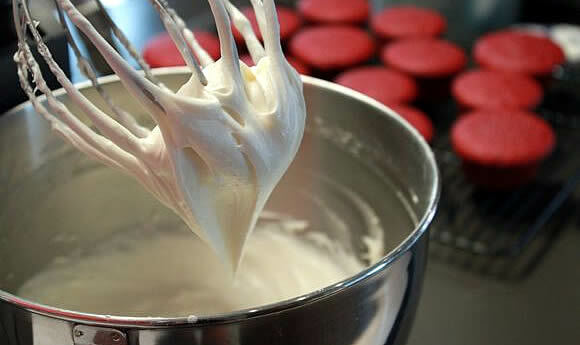 In an electric mixer, combine cream cheese and butter. Begin adding powdered sugar, creaming thoroughly after each addition. Mix in vanilla and cream. Continue adding powdered sugar until frosting has a pearly sheen and thick, gooey yet spreadable consistency. Frost. Share and enjoy. 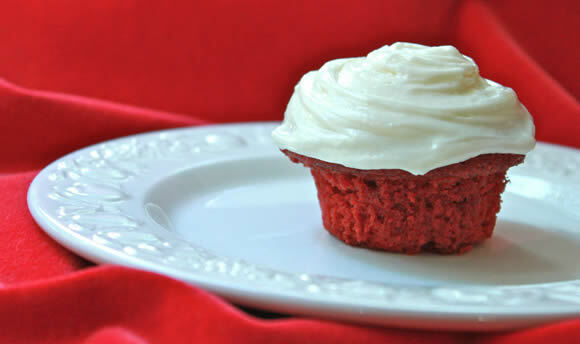 For added instruction and entertainment, watch the How to Make Red Velvet Cupcakes video. WooHoo! So happy to hear it, Lulu!! Can I use lemon juice instead of distilled vinegar? Thanks so much! Was just wondering, can I use lemon juice instead of distilled vinegar? Thanks so much! Hi justine, Are you wondering about making a buttermilk substitute or in the cake itself? If you are making a buttermilk substitute you can use lemon instead of vinegar… but I’m not too sure about subbing the vinegar in the cake for lemon juice. It may give it a lemon flavor… or it might work just fine. 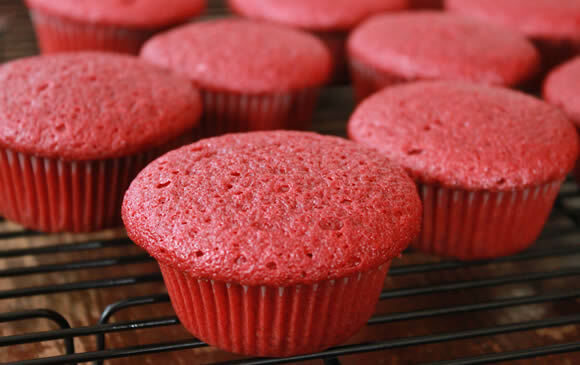 If you give it a try, either way, I’m dying to know how your red velvets turn out. Happy baking! If I halved the recipe to make just 12 cupcakes will it still look and taste the same as the full 24 cupcake recipe? I was planning on making these for Christmas but I want to mak mini cupcakes as opposed to normal sized cupcakes so I was wondering if halving this recipe to make just 12 normal cupcakes and 24 mini cupcakes would affect the look and taste? Hi Alexandrea, Can you believe I’ve never halved this recipe and I’ve never made mini-cupcakes with it either! It should be fine to halve it though. Just be sure not to over-bake your mini-cupcakes as that will dry them out. Let me know how it goes and Merry Christmas! Can i use kitchen oil the one i use for potatoes? OMG Sarah! I just made this awwsome cake.. in it is FRIKKIN’ GOOD! The taste is AMAZING! and the color OMG.. Thank you BIG TIME for this recipe.. & Merry Christmas & Happy New Year! cupcakes turned out great, but they were brown on the outside and a bit reddish on the inside, do u know why? and how i can make them turn out red next time? ?